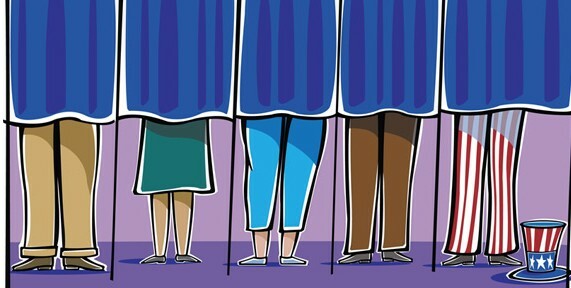 The Council for Economic Education is pleased to announce the release of a series of lesson plans to help educators (grades 9-12) teach the election and economics in their economics, civics, government, and other social studies courses. The lessons are all available for free on our teacher website EconEdLink. Can Election Futures Markets Be More Accurate Than Polls? Throughout the summer, additional lessons will be added on important campaign topics as the campaign continues to unfold, and CEE will also be hosting a free webinar for teachers on how to incorporate these lessons into their classrooms. To ensure that you receive information about upcoming webinars and new materials available on EconEdLink, you can register for free at the following URL: www.econedlink.org/register. If you have any questions, please contact April Somboun. 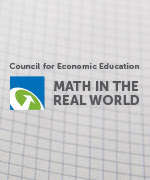 The Council for Economic Education has launched its newest resource: Math in the Real World. Math in the Real World contains interdisciplinary lessons aimed at teaching personal finance and economic concepts, all in the context of math lessons. Math in the Real World includes lessons that range from “Break-Even Analysis” and “Profit Maximization” to lessons on payday loan expenses and building good credit. CEE’s Blog Series on Teaching Techniques delivers teaching ‘best practices’ from practitioners in the field. These K-12 teachers from all over the United States present their proven tactics and techniques that keep their students interested and engaged in learning economics and personal finance concepts and lessons. Part 8 of 8. Lisa Bender from Southern Garret High School in Oakland, Maryland, has spent her career teaching economics fusing it with her other passion, immersive technology for the classroom. For her, economics lessons come alive when they are paired with the ground breaking information found on web portals and discovered with easy to use platforms such as tablets. With these tools, Ms. Bender is able to teach complementary lessons on economics and digital citizenship by showing students what tools to use and how to use them responsibly. This completes CEE’s new Blog Series, Teaching Techniques: Classroom Innovation on Economic Education. Keep checking back for more weekly updates on our blog! CEE’s Blog Series on Teaching Techniques delivers teaching ‘best practices’ from practitioners in the field. These K-12 teachers from all over the United States present their proven tactics and techniques that keep their students interested and engaged in learning economics and personal finance concepts and lessons. Part 6 of 8. Lynda Motiram from Old Mill High School in Millersville, Maryland, adopted graph relays as a classroom activity that quickly became a favorite tool for reinforcing economic concepts. Ms. Motiram recommends this easy-preparation activity to keep your class engaged by working and collaborating in group and using board work to reinforce the lessons. For Ms. Motiram, one of the best outcomes is seeing students that are struggling with the lecture grasp the concepts when using the graph relay. Stay tuned for the next edition of CEE’s new Blog Series, Teaching Techniques: Classroom Innovation on Economic Education on August 20th. CEE’s Blog Series on Teaching Techniques delivers teaching ‘best practices’ from practitioners in the field. These K-12 teachers from all over the United States present their proven tactics and techniques that keep their students interested and engaged in learning economics and personal finance concepts and lessons. Part 5 of 8. Judy Kraus from Hyde Park Middle School in Las Vegas, Nevada, gets her 7th grade pre-algebra class thinking early about their future education plans and career goals. With this year-long project, she gets her students very involved by simulating their projected finances after they graduate college and are working at their chosen entry level job. The result? Students can see how much money it takes to reach their goals and be financially prepared when the time comes. Stay tuned for the next edition of CEE’s new Blog Series, Teaching Techniques: Classroom Innovation on Economic Education on August 13th. CEE’s Blog Series on Teaching Techniques delivers teaching ‘best practices’ from practitioners in the field. These K-12 teachers from all over the United States present their proven tactics and techniques that keep their students interested and engaged in learning economics and personal finance concepts and lessons. Part 3 of 8. Jennifer O’Neil from Concord High School in Wilmington, Delaware, has shown her students that creativity goes hand-in-hand with economics. After finishing the entrepreneurial section of CEE’s publication, Financial Fitness for Life, she divided her class into groups of two or three students and assigned a project — to create never-before-seen product and put it out to market. Her students came up with phenomenal ideas for products and apps and Ms. O’Neil was able to demonstrate the importance of entrepreneurs in helping our economy. 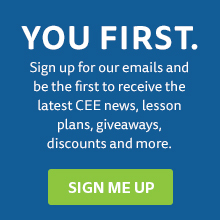 Stay tuned for the next edition of CEE’s new Blog Series, Teaching Techniques: Classroom Innovation on Economic Education on July 30th 2014.